Thanksgiving is one of those holidays that is often overshadowed by Christmas. Even before Halloween, retailers have filled their stores with Evergreen wreaths, bright and shiny ornaments and sparkling lights. 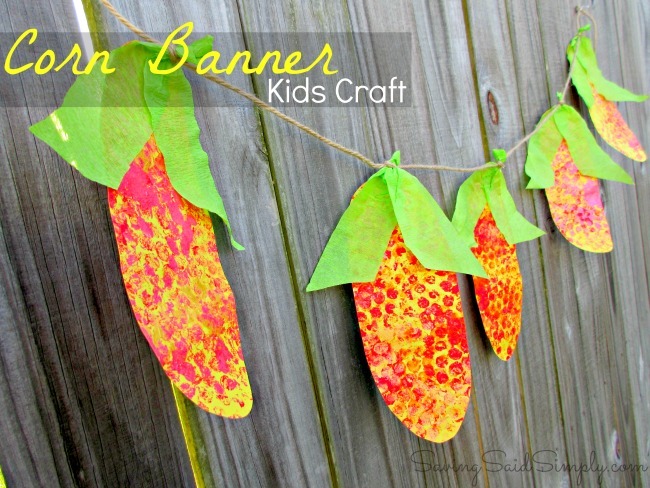 If you are lucky you can find some fall crafting materials on clearance. 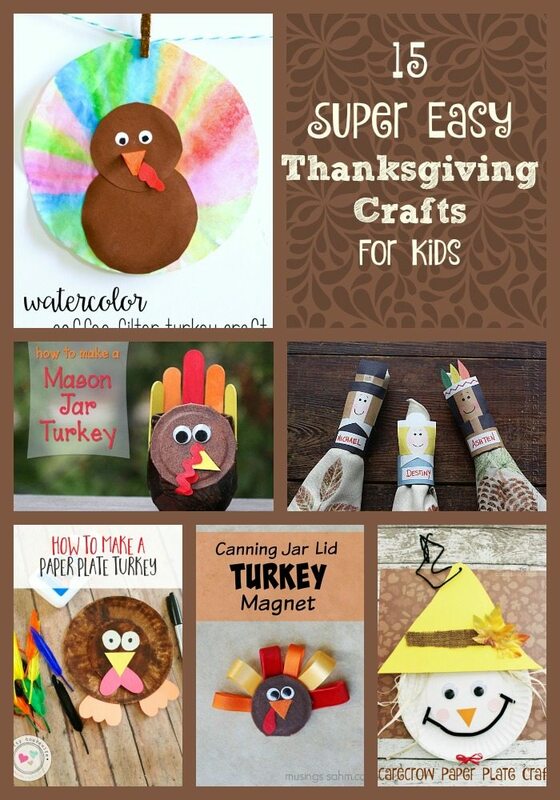 If you do, be sure to create these fun and easy Thanksgiving crafts with your kids. Either make them on a rainy day before Thanksgiving, or set up a craft table during your Thanksgiving meal. My kids loved making place cards for all the guests when they were younger. 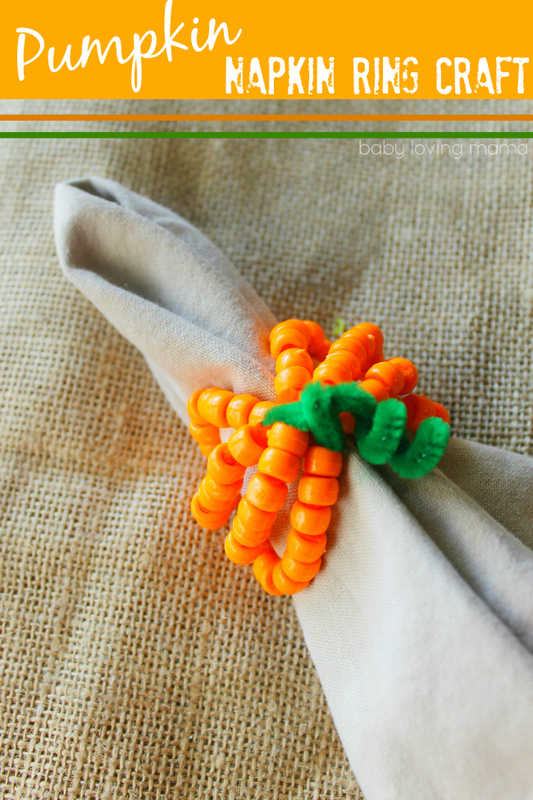 Older kids will have fun beading these Beaded pumpkin napkin ring-kids. 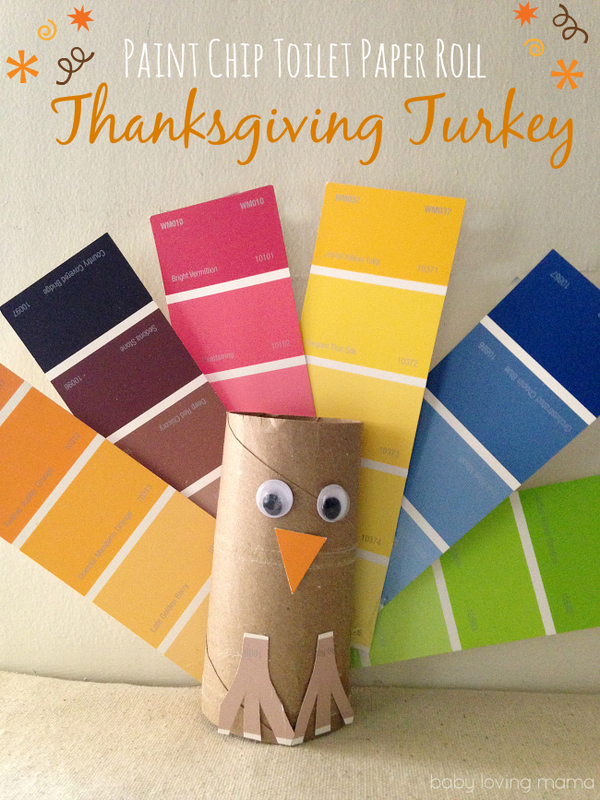 Grab some free paint chips at the hardware store and have the kids make these Paint Chip Turkeys for each guest. 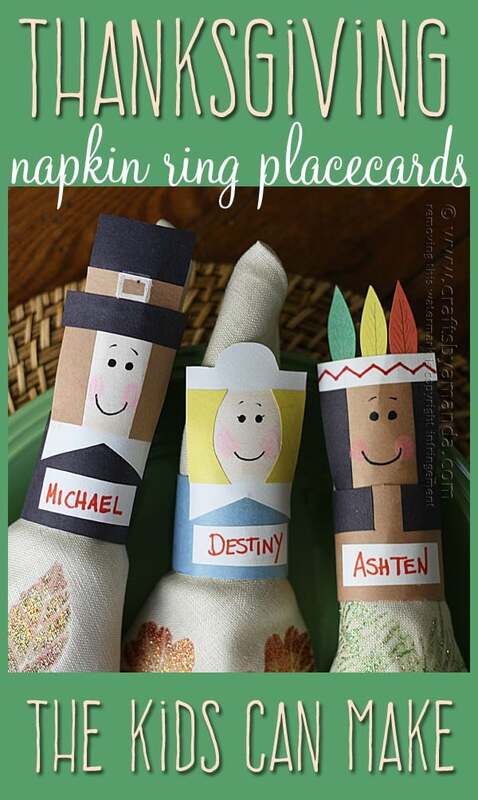 Older kids will also enjoy making these Thanksgiving napkin place cards. A great place to add a festive napkin. Edible Cornucopia Place Cards with Free Turkey Printable. Save your old cereal boxes. They are now transformed to a Thankful Box where everyone can share their blessings at Thanksgiving dinner. 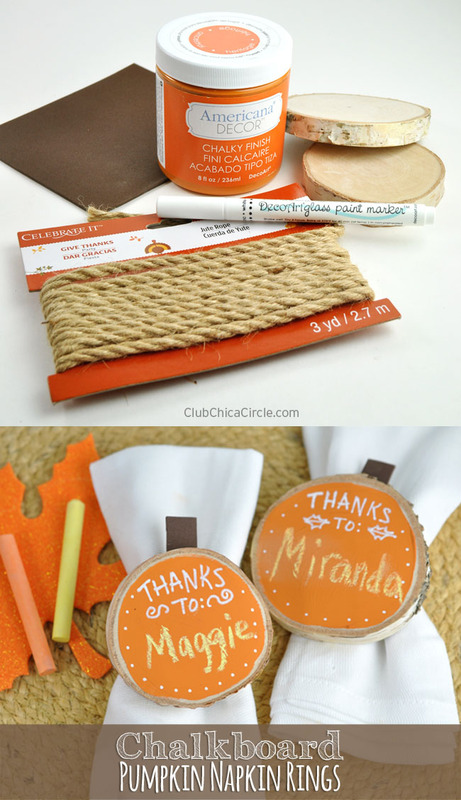 These Chalkboard pumpkin napkin rings will last year to year. Grab a few extra paper plates and have the kids make these paper plate turkeys. Show off your family of turkeys on your table this year. What a fun handprint turkey craft. 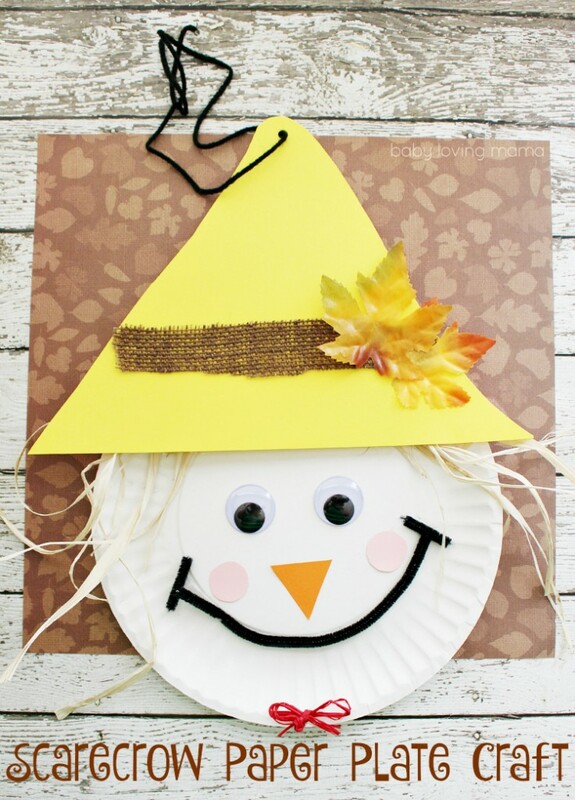 Fill your windows with this scarecrow paper plate crafts the kids will really enjoy. 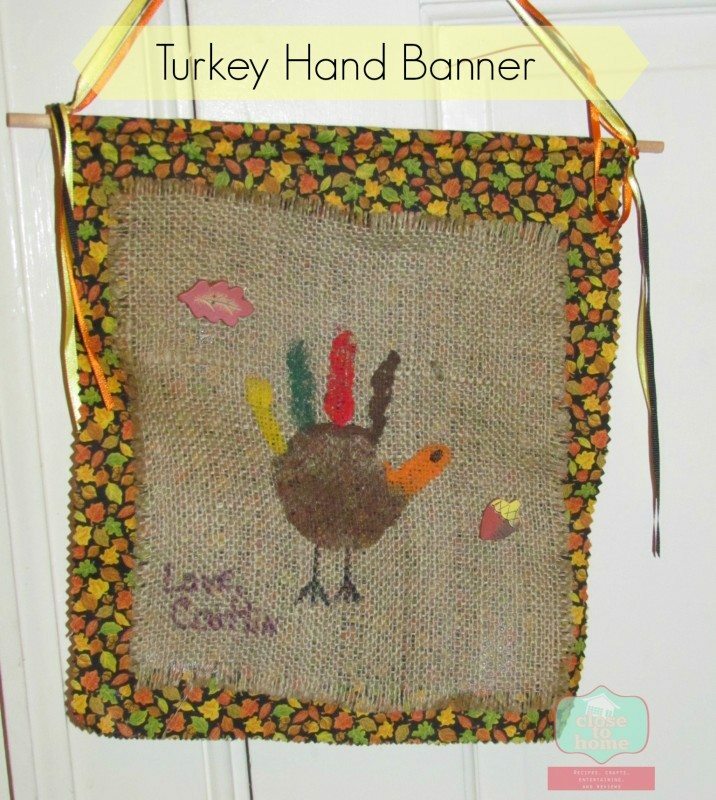 Canvas Handprint Turkey Banner is a keepsake Thanksgiving Craft. The kids will love seeing these turkey magnet craft on the fridge. 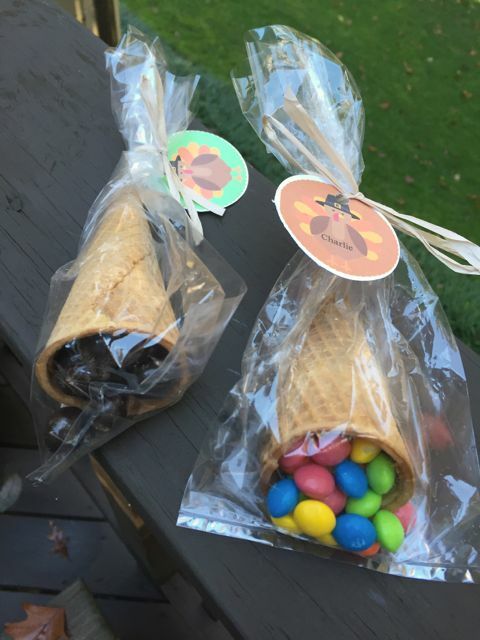 Don’t you love these watercolor coffee filter turkey craft for kids. 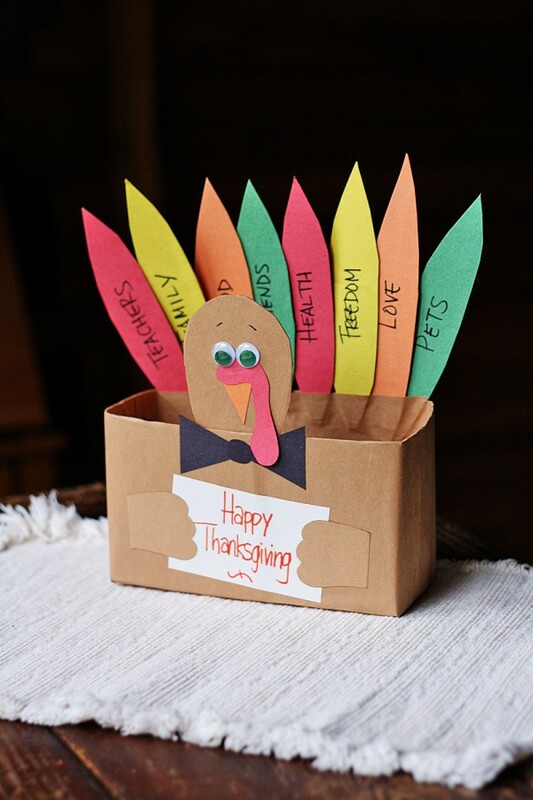 What Thanksgiving Crafts do you like to make with your kids?